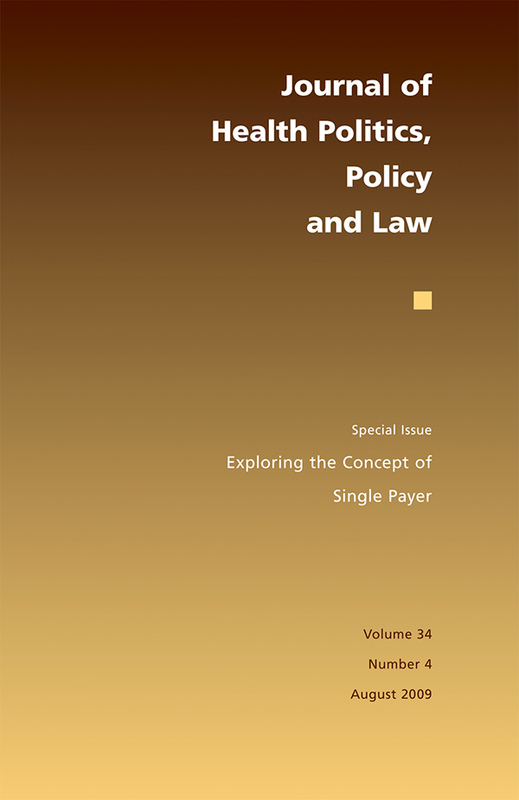 This special issue of the Journal of Health Politics, Policy and Law explores the concept of single-payer health systems from a number of perspectives. The contributors show that the administration of health care delivery and financing varies across countries, despite a rhetorical tendency to conflate distinct national models of single-payer health care. Many of the articles were originally presented as papers at a 2008 conference hosted by the journal, the Hubert H. Humphrey Institute of Public Affairs, and the Academic Health Center at the University of Minnesota. This issue also includes thoughtful commentaries by some of the conference participants and by health policy experts on questions such as: Why does the term single-payer generate such fierce and conflicting rhetoric? Even among those willing to support reform, why is a single-payer model so appealing to some and so worrisome to others? Rather than reach definitive conclusions to these questions, the contributors offer an honest and realistic exploration of the concept of single-payer health systems.